SC Dismisses Plea Seeking Deletion Of Some Scenes Of 'Padmaavat'. The Supreme Court today dismissed a petition which sought deletion of some of the scenes of controversial film "Padmaavat" which was released on January 25 by noting that censor board has already granted certificate and the court will not go into the issue again.
" We had ordered deletion of some paragraphs from your pleading and that does not affect the movie which has now been cleared by the CBFC in its present form", a bench of Chief Justice Dipak Misra and Justices D Y Chandrachud and A M Khanwilkar told petitioner and lawyer Manohar Lal Sharma. Sharma drew attention of the court to its November 20, 2017 order by which it had struck off six paragraphs of his petition as the court felt that they were “not conducive to harmony in society”. 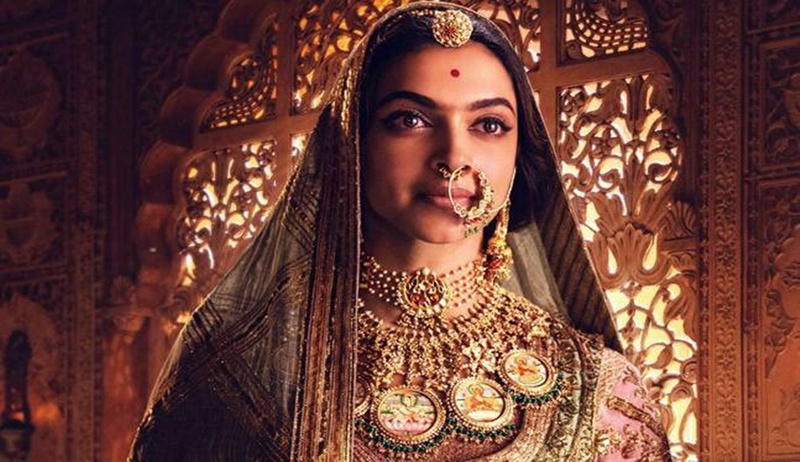 The six paragraphs were on the story of Queen Padmavati and the events surrounding her. Sharma argued that "While erasing six paragraphs, the court by its November 20 order had said pleadings in a court are not meant to create any kind of disharmony in the society which believes in the conceptual unity among diversity." "The court in its order had said what has been struck off by this Court should not be used otherwise then how can it be used in the movie", Sharma asked. Referring to the order, Sharma told the court that if six paragraphs were chopped off as they were not conducive to harmony, then all the scenes in film "Padmaavat" too should be deleted as they were "capable of creating disharmony". Referring to the order, Sharma told the court that while striking off the six paragraphs from his petition, the court had said that they "should not be used otherwise." "If some part of the story of Queen Padmavati could not be 'used otherwise' then how are they being retained in the film releasing on January 25", Sharma asked the Court but the bench was not impressed. Dismissing the petition, the Chief Justice Misra told Sharma: “ Now a point has come for you to leave this cause, Mr. Sharma”. Sharma had already filed two petitions relating to the movie and this was his third. When Sharma got a hint that the court was about to turn down his plea and end the hearing, he raised his voice and said “this court does not hear poor advocates like me. Courts do not hear lawyers like me for a long time. You don't have time.. sorry to say this Lordships..But the courts have a lot of time for Ambanis and Bansalis”. This triggered peals of laughter in the courtroom.